Mandela International Magnet School offers an opportunity for students to experience the rich academic setting of the International Baccalaureate Programme. 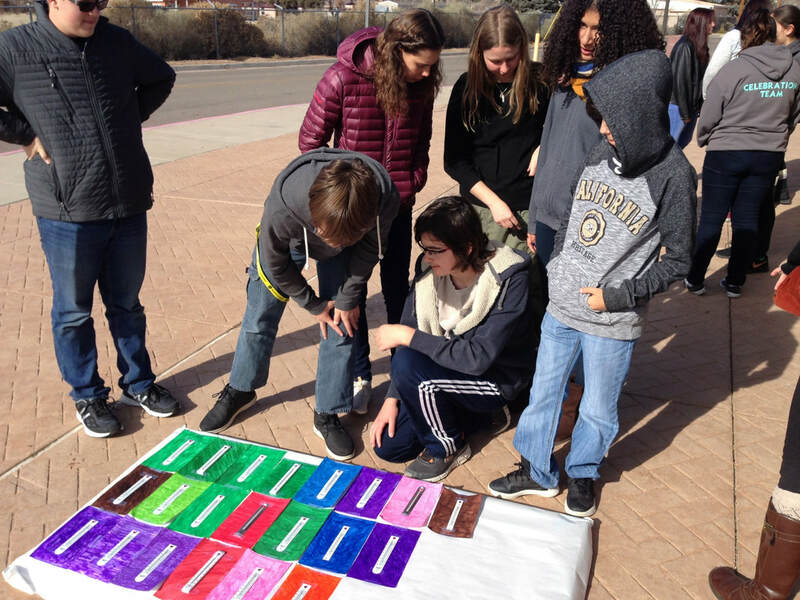 Both our mission as a Santa Fe Public School, and as an IB school, is to develop multilingual, inquiring, knowledgeable and caring learners who will help to create a better and more peaceful world through intercultural understanding and respect. 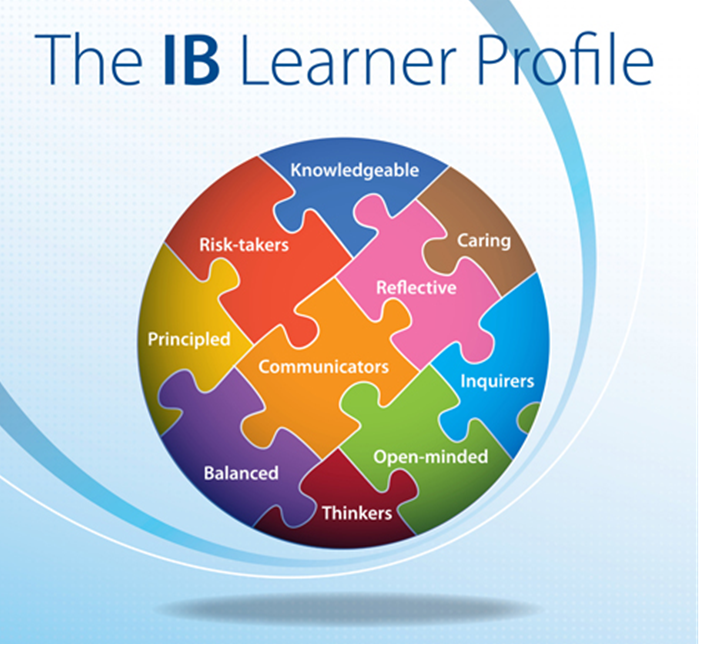 In addition to being intellectually rigorous and highly academic, IB learners strive to be open-minded, caring, reflective, balanced, principled, knowledgeable, and hard-working. Our students are known as enthusiastic inquirers, creative and ethical thinkers, resilient risk-takers, and collaborative communicators. seek to support the local community through volunteer work and mentorship. By providing comprehensive and balanced curricula, in tandem with challenging assessments, Mandela’s aim is to develop the individual talents of our students while encouraging independent, critical thinking and engagement with the world as global citizens. Educating the Whole Person for the Whole World! for ​the 2019-2020 school year. The application period for the 2019-2020 school year is now closed. Informed by the International Baccalaureate (IB) mission to develop active, compassionate and lifelong learners, the IB programmes foster a distinctive set of attributes. These qualities—embodied in the IB learner profile—prepare IB students to make exceptional contributions on campus. Inquirers. They develop their natural curiosity. They acquire the skills necessary to conduct inquiry and research and show independence in learning. They actively enjoy learning and this love of learning will be sustained throughout their lives. University faculties regularly note IB students’ passion for discovery. Knowledgeable. They explore concepts, ideas and issues that have local and global significance. In so doing, they acquire in-depth knowledge and develop understanding across a broad and balanced range of disciplines. IB students are extraordinarily well prepared for the academic requirements of university coursework. Communicators. They understand and express ideas and information confidently and creatively in more than one language and in a variety of modes of communication. They work effectively and willingly in collaboration with others. IB students regularly deliver stimulating presentations and drive excellence in group assignments. Principled. They act with integrity and honesty, with a strong sense of fairness, justice and respect for the dignity of the individual, groups and communities. They take responsibility for their own actions and the consequences that accompany them. IB students are infused with the academic integrity that is a fundamental value of universities and colleges. Open-minded. They understand and appreciate their own cultures and personal histories, and are open to the perspectives, values and traditions of other individuals and communities. They are accustomed to seeking and evaluating a range of points of view, and are willing to grow from the experience. IB students have a deep understanding of various cultures and views, bringing an appreciation of new views to both their academic study and their involvement in local and wider communities. Their international mindedness complements the missions of the best tertiary institutions. Caring. They show empathy, compassion and respect towards the needs and feelings of others. They have a personal commitment to service, and act to make a positive difference to the lives of others and to the environment. IB students tell us they bring this commitment to community and others to their activities and leadership roles at university and carry it throughout their lives. Risk-takers. They approach unfamiliar situations and uncertainty with courage and forethought, and have the independence of spirit to explore new roles, ideas and strategies. They are brave and articulate in defending their beliefs. IB students transition well to challenging university settings and show resilience and determination in their work. In academics, they have the confidence to approach new or unfamiliar subjects or material. Balanced. They understand the importance of intellectual, physical and emotional balance to achieve personal well-being for themselves and others. IB students are active participants in a wide range of aspects of campus life, as well as focusing on their academic development. Reflective. They give thoughtful consideration to their own learning and experience. They are able to assess and understand their strengths and limitations in order to support their learning and personal development. IB students have developed an ability to reflect on their learning and to articulate how they learnt. They have learned that critical reflection is an important academic and life skill.